Like most parents, my kitchen is filled with bread, pasta, biscuits, noodles, cakes and breakfast cereals ready to feed my ever-hungry children and their friends. The common ingredient in all these foods is wheat. So I was really concerned to find out that Australia may be the first country to grow genetically modified (GM) wheat. 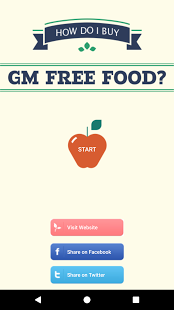 Recent polling conducted by Newspoll and commissioned by MADGE (Mothers Are Demystifying Genetic Engineering) and Greenpeace reveals that 66% of Australian mothers would prefer to buy food free of genetically modified (GM) wheat. In contrast, only 3 % of Australian mothers would prefer to buy food that contains GM wheat, while another 29% have no preference either way and 3% don’t know. MADGE has asked CSIRO for the gene silencing DNA code in their GM wheat. Professor Jack Heinemann’s report of yesterday showed the likelihood of perfect matches with human DNA. “We want to know exactly which genes of our children could be silenced by a genetically engineered sandwich” said Madeleine Love, researcher at MADGE Australia, a volunteer community grassroots group of mothers and others researching in food. Greenpeace activists used whipper snippers to destroy a CSIRO GM wheat research crop in Canberra. Who is really running Australia's GM wheat trials?